The Benham Falls is located in a stand of old growth ponderosa pines on the edge of a riparian area. Variety. 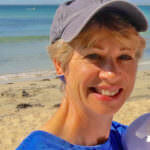 It’s what the English poet, William Cowper, said was the very spice of life. And it’s what Central Oregon excels in offering day hikers. 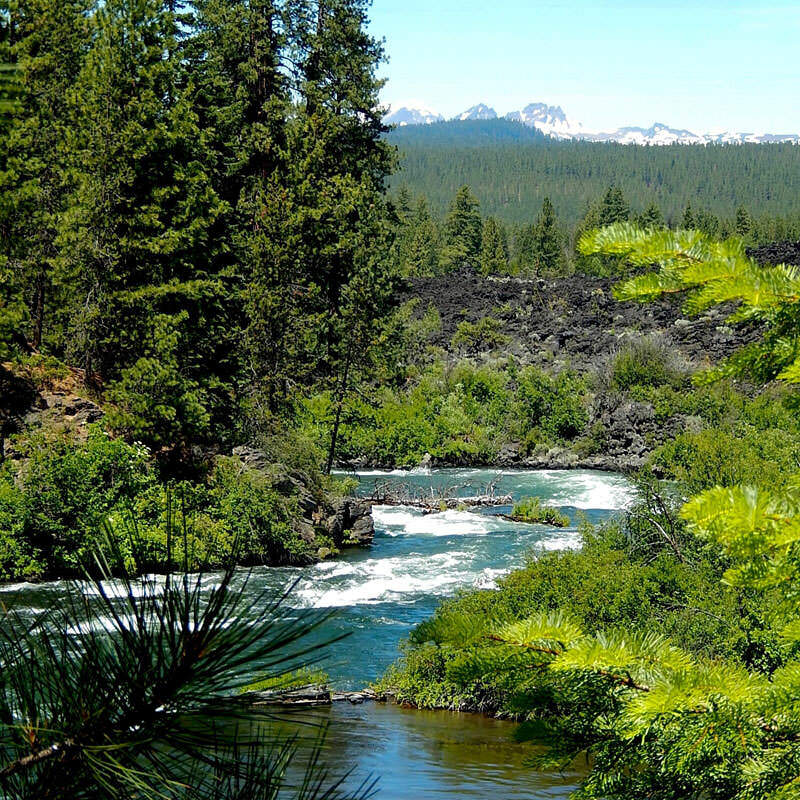 The area around Bend is made up of three distinct geographic landscapes: forest, high desert and volcanic. Many hikes feature just one. Yet, along the easy path to Benham Falls, we hit the jackpot with all three. At first glance, the contrast seemed jarring. But after a while, the trail’s diversity became a fascinating lesson in ecosystems. This was a refreshing hike, even on a warm summer day. 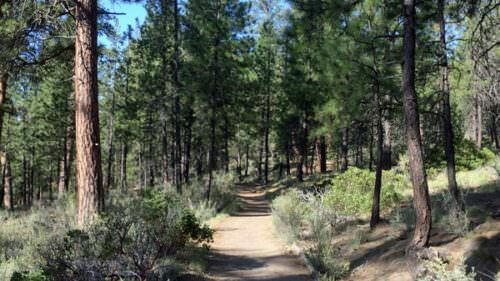 Most of the walk followed the curving Deschutes River through tunnels of ponderosa pine and Douglas fir trees. These wooden sentries provided protection from the sun by casting their long shadows over the trail. We could also feel the falls’ cool air as the path took us down next to and then up above them. This was no trickle of water, but rather a thundering whirlpool of green and white whose power was palpable as it pounded against the rocks. 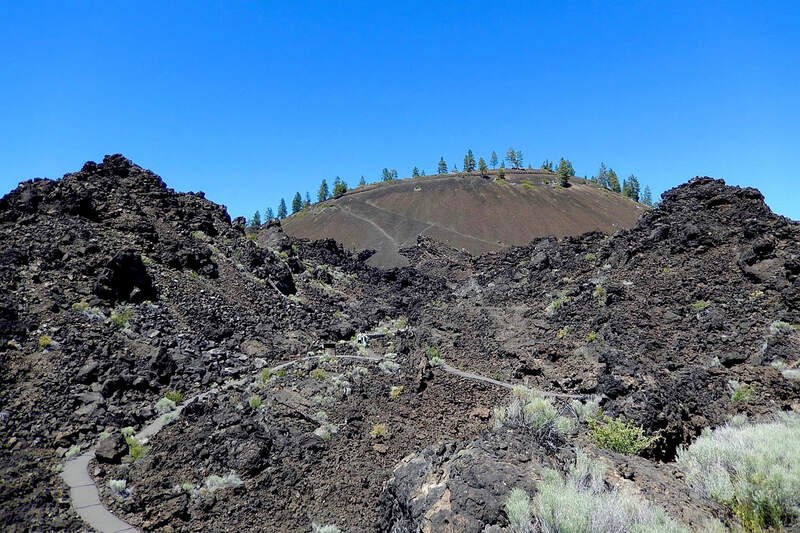 It's easy to see why NASA chose the Newberry National Volcanic Monument to be an astronaut training ground. It may look like the moon, but no rocket was required to get here. We simply drove 20 minutes from Bend to arrive at the otherworldly Newberry National Volcanic Monument. One glimpse and it was easy to understand why NASA chose this bizarre terrain to be a training ground for some of the Apollo astronauts to test their ability to walk around in space suits. We didn’t need any special attire other than a good pair of walking shoes to hike the park’s well-maintained trails. As we ascended the pocked hills, we found the juxtaposition of the lava flow with the Deschutes National Forest and the Cascade Mountains impressive. One of the best views was atop Lava Butte overlooking much of the 1,200 square mile caldera. It resembled a black textured canvas stretched over an area roughly the size of Rhode Island. Small patches of trees and shrubs added random pops of color across the earthbound moonscape. We wondered if maybe this is what the Man in the Moon smiles at as he looks down every night. Smith Rock is one of Oregon’s most popular and iconic destinations — so come prepared. One of these extraordinary places, Smith Rock, is just 26 miles northeast from Bend. People can take their pick of a dozen hikes around this 640-acre park that vary in degree of difficulty. Some even prefer to test their Spider-man skills by traversing several daring routes at a 90-degree angle. 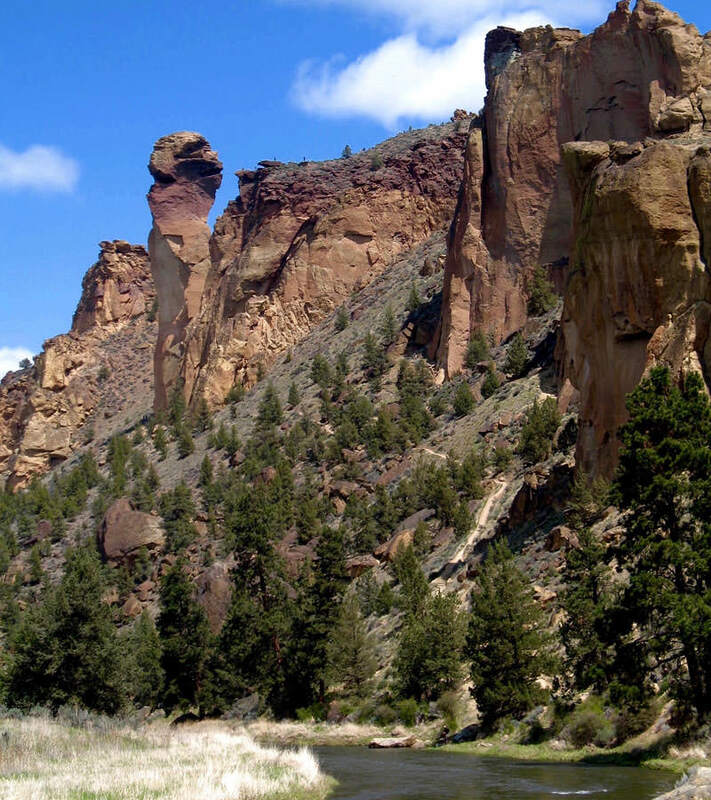 Editor’s note: Smith Rock is one of Oregon’s most popular and iconic destinations, and can see crowds with limited parking year-round. For the best experience, carpool and plan your visit for mid-week. Find more tips here. 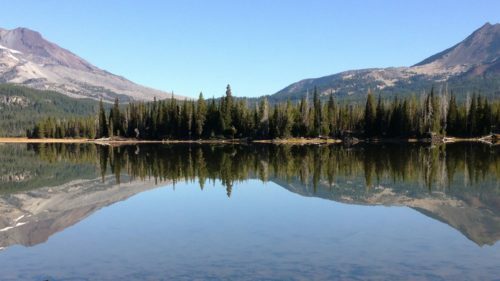 To find Green Lakes, drive on the Cascade Lakes Scenic Byway and look for the trailhead sign about 27 miles from Bend. The chance to take a walk in the woods relatively close to town is reward in and of itself. Nonetheless, we love the promise of something special such as a water feature: a lake, a stream or possibly even a waterfall. And we anticipate this highlight throughout the journey. If prizes were handed out, the trek to Green Lakes would win hands-down for having the most water features along its 8-mile round-trip trail. 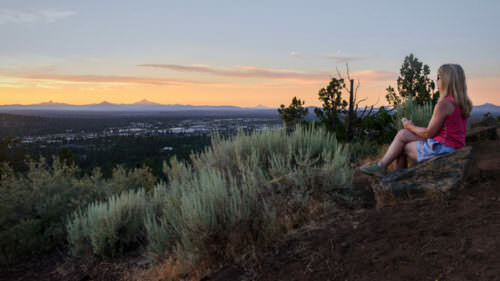 In fact, this popular Bend hike spoils people with a trifecta. We caught our first glimpse of Fall Creek almost immediately after leaving the parking lot. It was our constant companion most of the way, putting on a grand show with a magnificent waterfall at the half-mile mark and performing several encores with minor leaps down the mountain at other points. 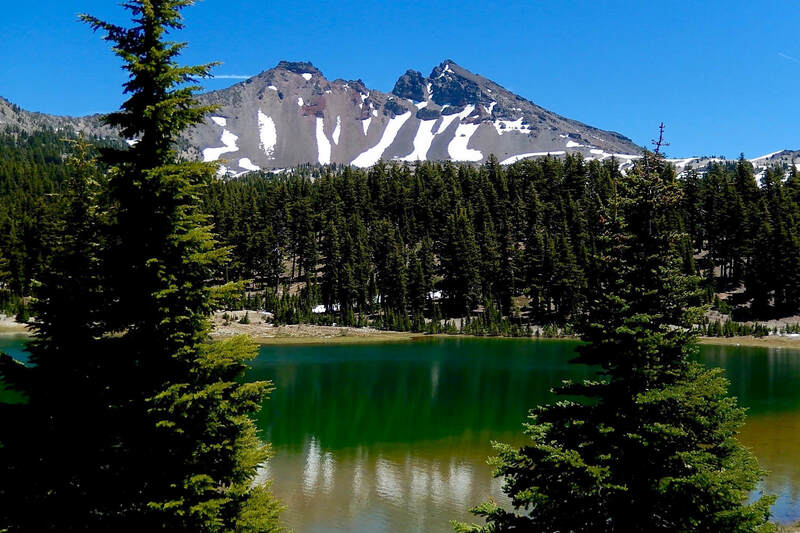 The steady climb upwards included a colorful sprinkling of wildflowers as we headed towards the ultimate payoff, views of Broken Top and South Sister reflected in glacier-fed lakes. Hiking doesn’t get any better than this. MacKenzie Freeman fell in love with Oregon during college and then with a native Oregonian. Her writing style gives a modern twist to the phrase “a picture is worth a thousand words.” Each story, including these, describes a photograph in exactly 1,000 characters. She enjoys providing armchair and real-world travelers with a sense of place in her travel books and blog featured on www.imaginexxus.com.